Manchester United are England's most successful club in terms of trophies won and more often than not, have their way, when they are in for a player. It is not often that a footballer isn't swayed by the opportunity to play for a club with such history and tradition like the Red Devils. Yet, that hasn't stopped them from missing out on their transfer targets at the eleventh hour. While some of them haven't been sorely felt, there have been plenty of great players who Manchester United have missed out on signing despite leading the race for their signature, due to a variety of reasons. Here are 7 players Manchester United missed out on signing. 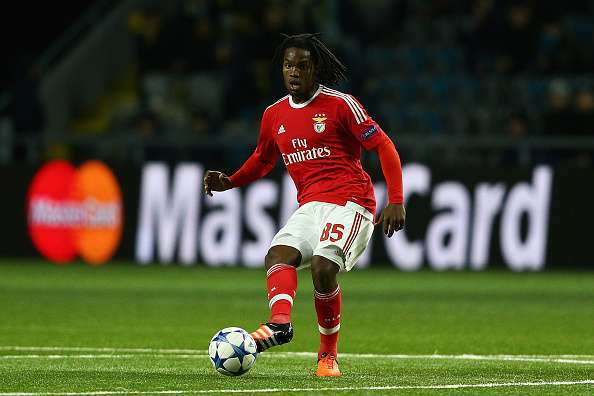 Manchester United had been keeping a close eye on Renato Sanches ever since it emerged that the 18-year-old box-to-box midfielder was the hottest prospect to emerge out of Portugal since Cristiano Ronaldo, who United had signed in 2003. Unfortunately, they were beaten to the signing of the latest Portuguese sensation by German champions, Bayern Munich. For a while, it looked as though United were in the pole position to secure his signature, having sent scouts to watch the 18-year-old on several occasions since he made his debut for Benfica at the start of the 2015/16 season. Although the midfielder had a contract until 2021, he was being targeted by all the major European clubs, including Real Madrid and Barcelona, in addition to United and Bayern Munich. United remained firm favourites to secure his signature. In the end though, Bayern were quicker to the trigger as they swooped in and sealed his signature, leaving United pondering what could have been, had they acted quicker.